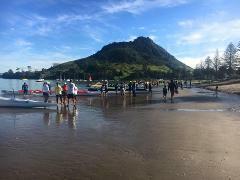 Discover the beautiful Mt Maunganui from the ocean. This is a Māori cultural experience delivered by tangata whenua (people of the land). Mt Maunganui boasts a well-loved mountain, named Mauao, seeped in history and culture. Join us in a walk through time with our local Maori guides. Take in the stunning views of Mt Maunganui and hear the compelling Maori legends. 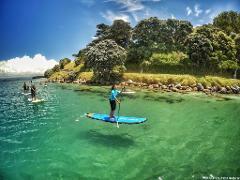 Intensive 1 hour stand up paddle boarding lesson with a Māori cultural twist. Join our local experienced instructors on a Māori cultural experience aboard a Waka Ama (outrigger) Canoe. 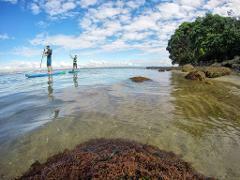 Explore Tauranga Moana by SUP! Hear about our Māori cultural stories and learn about our environment. An extra special treat for two. Includes story-telling, serenading, and picnicking. A special kind of love to share with another.